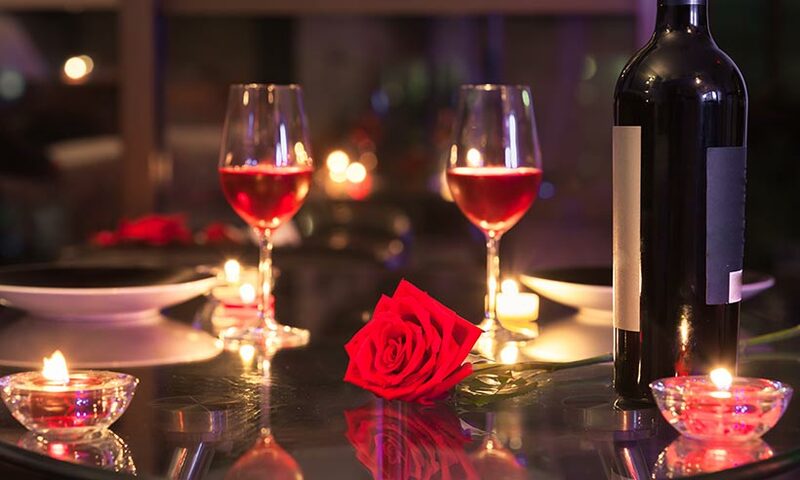 Whether you’re celebrating with a long-term love or are pulling out all the stops for an all-important first date, a Valentine’s dinner menu can be the perfect way to celebrate this holiday. Set the ambience for your romantic meal with mood lighting such as candles, along with decorations and music. You might want to opt for something sophisticated for a starter, such as rolled salmon sashimi or cheese souffles, or you could keep it simple with some light bites such as mini-stuffed mushroom caps (we love blue cheese for a stuffing) or crackers topped with avocado and mozzarella. You could also serve a romantically-themed aperitif, such as the Soft Love cocktail. Leeks, sprouts and cabbage are best picked in February, while fruits like apple and grapefruit are also in season. As such, you may want to whisk together a romantic main meal that includes these ingredients to really create something that is memorable and seasonal. For example, a joint of meat or Wellington served with these roasted vegetables can be delicious if you’re planning on having a dinner party, or if your Valentine’s plans include just a meal for two, these ingredients served in a creamy white wine pasta or risotto could go down a treat. Of course, it’s incredibly romantic to share a dessert, and even more so if that dessert happens to be totally delectable, indulgent and delicious! Sweets and chocolate are synonymous with this holiday, so dessert is the perfect time to serve these in abundance. Desserts such as a chocolate cake, sweet strawberry cheesecake, or salted caramel truffles have the ability to please aesthetically as well as taste absolutely delicious. Any of these served with a sweet white dessert wine such as a Moscato or Gewürztraminer can bring your Valentine’s dinner to a triumphant finish. You could be celebrating with a loved one, or perhaps you’re choosing to celebrate the love you have for friends and family instead. However you’re planning on dining this Valentine’s, you can always make things that little bit easier by having a professional chef take care of all the cooking for you. We’ll arrive with ingredients, prep and cook the meal, and clear things away afterwards leaving you to simply relax and enjoy one another’s company.